“Practice and hope, but never hope more than you practice,” stated by Kalmen Opperman, clarinetist, composer and master teacher/craftsman. These words live in me every day. Mr. Opperman could not have ever said it any better. After all, you can hope all you want, but if you do not practice, expect disappointment. I often weigh my levels of practicing and hoping. I know when practicing is down, my hope of improvement is down. When my practicing is up and consistent, my hope is brighter, motivating and almost always surprising. Remember, CONSISTANT PRACTICE will help you improve at ANYTHING. “Slow, steady progress wins the race” is the moral of the story of the Tortoise and the Hare. Practice every single day, even if it is 20 minutes. Practice and Hope - Does 3 hours a day sound impossible to you? HOW FAST DID THOSE HOURS ADD UP? Now, when you counted those hours, did you have ANY days off from those activities? I dare you to put the same amount of hours on clarinet (or your chosen, real musical instrument) that you did on any or all of the above items (TV, cell phone, computer, internet, games). However, take care of your body. If you wish to practice 3 hours a day, make sure you take a number of breaks in between. Overuse is a common problem in music and sports. Overuse is even a problem with typing on computers, so take care of your hands and embouchure. Remember, clarinet is a woodwind instrument. Its most often made of WOOD (plastic otherwise), METAL, CORK, FELT PADS and a CANE REED. You can hold it in your hands, blow air through it, manipulate the keys and make really cool, beautiful sounds on it. CLARINET IS POWERED BY WIND. IT IS UNPLUGGED, YET YOU CAN STILL MAKE SOME OF THE MOST BEAUTIFUL AND EXCITING MUSIC IN THE WORLD. Anyone can operate a computer, cell phone, Ipod, TV, but not anyone can play clarinet. Dare to play a real instrument and work out all its challenges. Studying the discipline of a musical instrument will carry over to the other disciplines in your life. Future bosses will recognize your higher levels of focus and discipline. The more accomplished you become on clarinet, the more likely you’ll find yourself in leadership roles. Read more here on Clarinet Leadership. 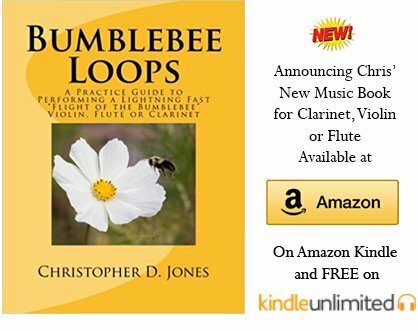 I write it over and over again on Clarinet-Now.com, CONSISTANT PRACTICE WILL HELP YOU IMPROVE AT ANYTHING. So, how to you improve on this? Take consistent clarinet lessons from a private clarinet teacher. Read more here about the 12 Benefits of Clarinet Lessons, Maximize Your Clarinet Lessons, and how to find a Private Clarinet Teacher. Authors Note: Yes, you are correct. I had to sacrifice practicing my clarinet to write this page. Now, I don’t know about you, but I’m going to practice, NOW. Go get it! GO GET YOUR CLARINET, NOW! AND PRACTICE. look inside The Kalmen Opperman Repertoire Collection (For Clarinet and Piano or Guitar - Volume 2). Composed by Various. Arranged by Kalmen Opperman. For Clarinet Solo, Guitar, Piano. Score and part(s). Standard notation. 96 pages. Published by Carl Fischer (CF.WF9).